In its original sense, the word refers to the movement of the military troops from one place to another where they are supposed to be with intermediate stays in lodges duly arranged. But, later the scope of the logistics evolved manifold to include movements of goods, services and even information. The word logistics thus has come to mean basically movements of things from one place to another with a specific purpose. Since no business of any kind at any level is possible without movement of things, and, since no economy of any nation can survive and sustain itself without business, logistics has gained extraordinary but essential importance for trade and commerce. Economic transactions and logistics are inseparable. Now, logistics can be defined as the effective movement of goods and services from the place of origin to the place of consumption. This involves everything one can think of in connection with trade and commerce. For example, in brief, the one who dispatches must have the very things needed by the other to dispatch; it means the sender has the right inventory of things. Next, he must plan movement in such a way that things reach the receiver in time; it means the right selection of the mode of transport; again, the thing he dispatches must not be damaged in any way before it reaches the desired place; it means packaging. Above all, he must send the things at a lower cost so that his profit margin does not suffer much. It means economies of scale in respect of logistics. For the one who receives it, he must market the goods in time to the right customers. It might mean, as it is becoming popular nowadays in all cities, minor door delivery movements of goods. From this rapid survey of business areas, it is clear that logistics forms the backbone of any industry. To grow in trade and in commerce means to grow in effective logistics. It applies to all institutions of business, domestic and global. 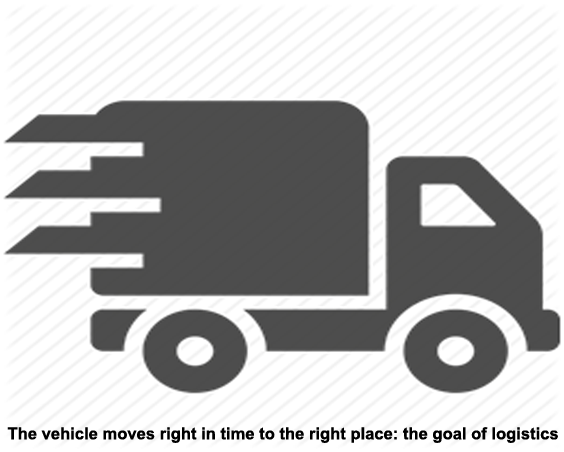 Now let us see some popular definitions of �logistics�. Logistics is the general management of how resources are acquired, stored and transported to their final destination. The science of planning, organizing and managing activities that provide goods or services. Logistics is defined as a business planning framework for the management of material, service, information and capital flows. It includes the increasingly complex information, communication and control systems required in today's business environment. Logistics is.the process of planning, implementing, and controlling the efficient, effective flow and storage of goods, services, and related information from point of origin to point of consumption for the purpose of conforming to customer requirements. Philip Kotler defines logistics as �planning, implementing, and controlling the physical flows of materials and finished goods from point of origin to point of use to meet the customer�s need at a profit�.From these various definitions, it is clear that logistics refers to a process which is essentially a movement of goods etc to the customers for their requirements. Philip Kotler�s definition adds one very significant point: at profit. Every branch of business needs profit to sustain itself and logistics is no exception. Without excess money on the investment, no business can thrive.